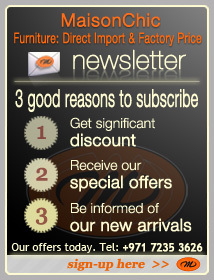 Many choices for living room furniture in UAE-Dubai-RAK. 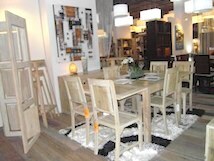 Maison Chic invites you for a walk through living room design ideas. 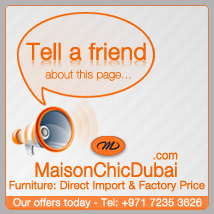 Maison Chic is importing directly from its factories a very large number of living room furniture in UAE-Dubai-RAK. More than 20 very successful living room design ideas. 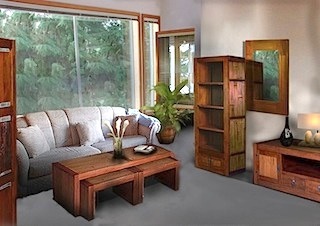 Living room furniture is the center part of any living space. We hope we can contribute to your relaxation after long exhausting working days......Maison Chic stocks living room furniture of all collections. 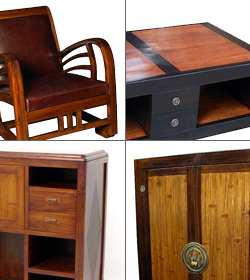 Quality and affordability for elegant living room furniture in Maison Chic - such as armchair, leather armchair (also colonial style available), coffee table (rectangular, glass top,...), TV cabinet low level for plasma TV (from 120cm long and over 200cm), a choice of indoor compact bar furniture, and bar stool to go with. 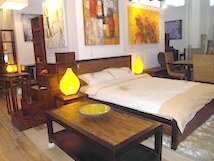 We also carry contemporary living room furniture and modern living room design.